My previous post on Loungewear started on the topic of looking good while being lazy. 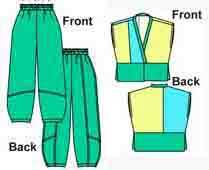 There are two easy routes to go for slumping – exercise wear or sleep wear. There used to be a designer loungewear section at Net-a-Porter which simply had sweatshirts and jogging pants in pretty colours. 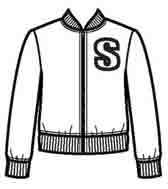 I’ve already posted on sweatshirt patterns. 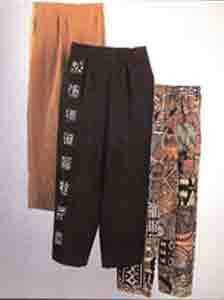 Silhouette 3400 is a quick yoga pants pattern with associated webcast. 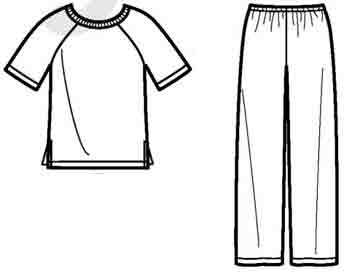 Most pyjama patterns are actually camp shirt/ sweat shirt/ tee with elastic waist pants, made in soft cosy fabrics. And with bigger ease levels (more on that later). 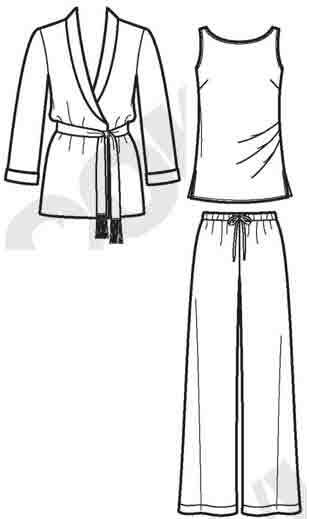 Hence the vagueness of the dividing line between sleepwear and loungewear. 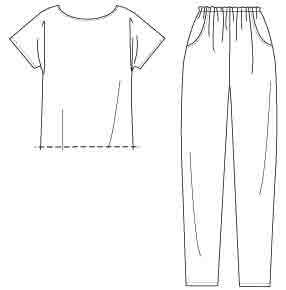 Simplicity 2317 is one of many pj patterns with camp shirt, tank, tee and pants. I look better in a collar which closes up to the neck. 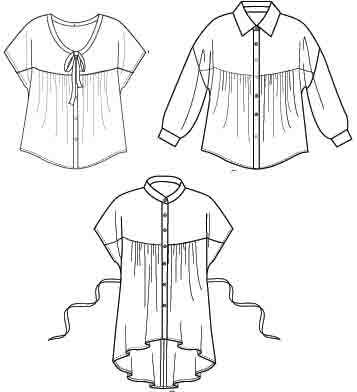 And a style which can close up to the neck has the potential to look more formal, if you want a pattern which can be used for both sleepwear and daywear. 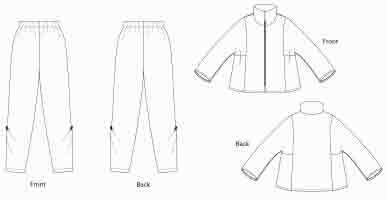 I’ve only found one pj pattern like this, Simplicity 2280. In hospital last summer I had a good opportunity to survey pj styles. Most people wore a tee with shorts or capris. And most of those could equally well be worn pool-side or at the beach. 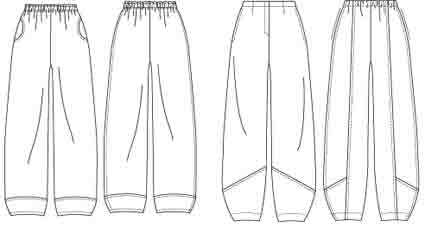 Or a sweatshirt and elastic waist pants. 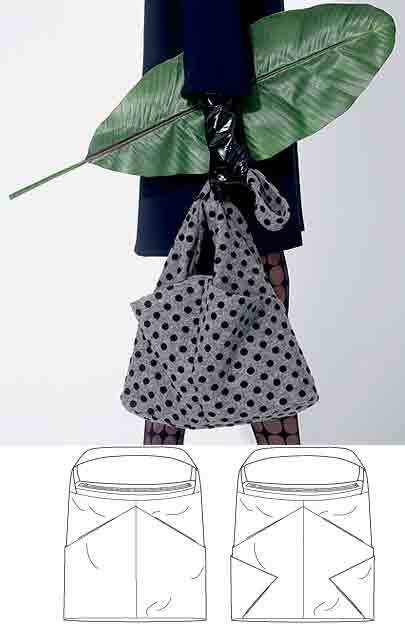 Such as Simplicity 3577. 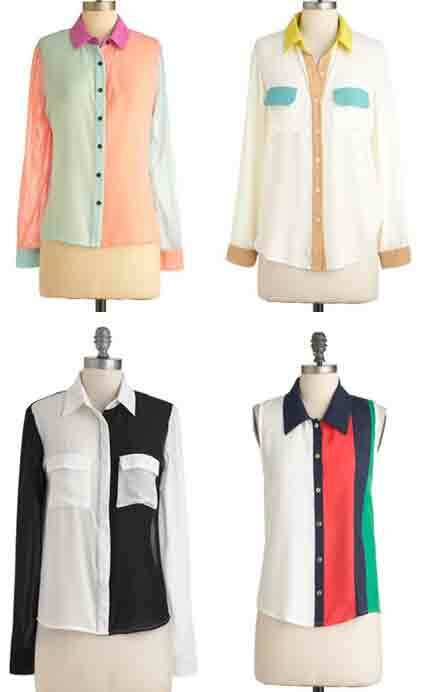 I prefer clothes with inherent style interest, rather than adding interest with accessories. 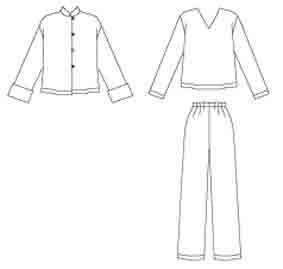 There are several non-traditional sleep/ loungewear patterns which could be casual ‘Key 3’ outfits. 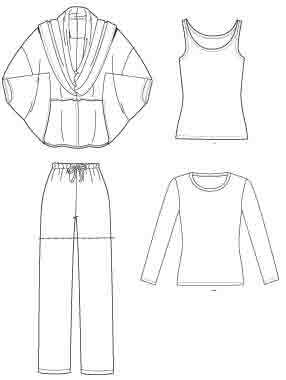 Here’s McCall’s 6658 loungewear wardrobe pattern. 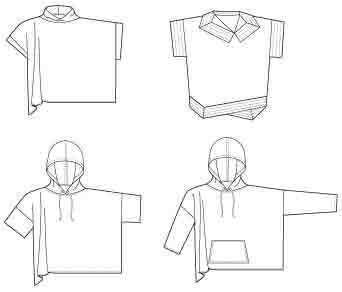 Pullover layer, pants and shorts, knit top with 3 necklines, 3 sleeves. 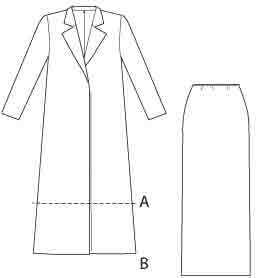 Shorten the robe of McCall’s 6659 and you have basic shirt with darts, pants, and cardigan jacket. 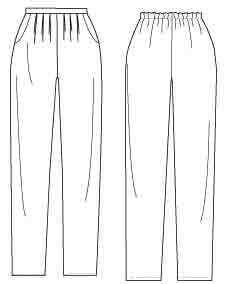 New Look 6161 is a similar Project Runway pattern for jacket, more interesting sleeveless top, and pants. 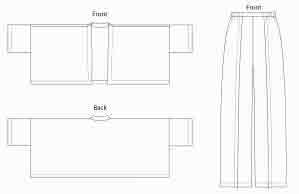 Butterick 4406 has a mandarin jacket and tunic top. 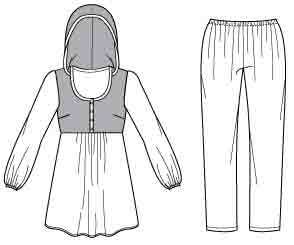 And there’s a pretty yoked hoodie, McCall’s 6472. 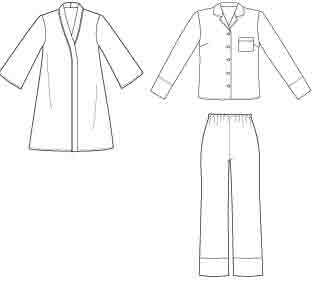 Scrubs, like sleepwear, are designed for maximum ease of movement. 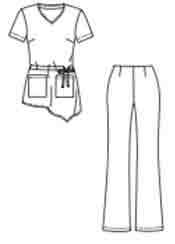 There are some scrubs patterns which are worth considering for casual top and pants, such as Kwik Sew 3979. 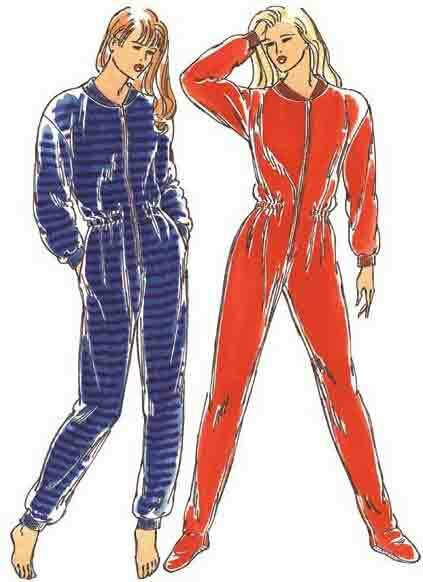 Jumpsuits are fashionable this season, so how about an adult onesie, such as Kwik Sew 2175. 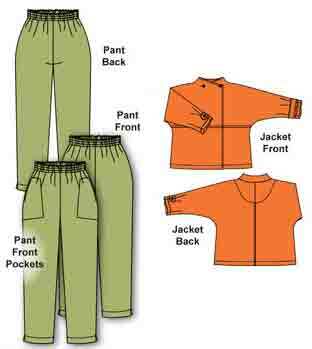 I picked a style with waist casing, so it’s like a bomber jacket and slouch pants combined 😀 There are several patterns without waist casing, such as McCall’s 7586, if that’s more comfortable for you. Very cosy to wear, but sadly cold for going to the bathroom. 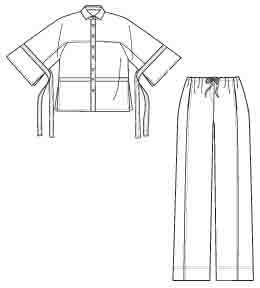 So pyjamas are basically camp shirts and elastic waist pants. 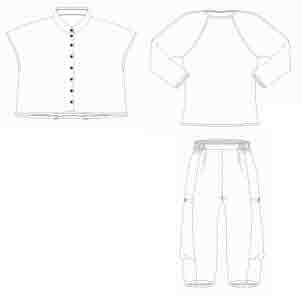 The difference between more formal day wear and lounge or sleep wear lies in the comfortable looseness of the fit and the soft non-abrasive fabrics, rather than the style elements. 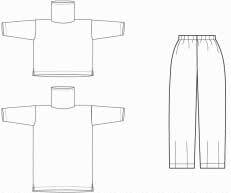 Make the same patterns in fun soft princess/ jokey/ wild/ sports fan fabrics for lounging, and plainer stiffer fabrics for work. Pink flannel covered in frosted fairies – for slumping and sleeping. Taupe silk noil – for being taken seriously. 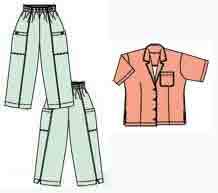 It’s the style of the prints that identify sleepwear and beach holiday camp shirts so clearly, not the style of the garments. Don’t go to the supermarket in purple frogs. 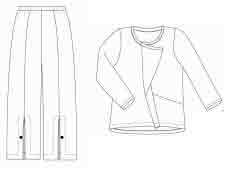 My favourite comfort fabrics are brushed cotton, flannels, cords, cuddle fleece. They do have to be good quality or they can look scruffy quite quickly. Neutral solid colours aren’t much fun, but they don’t attract attention in public ! 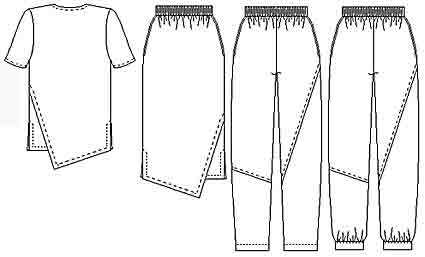 I don’t like wearing stretch fabrics, but they can be ideal for comfort. And I don’t wear knit fabrics as they cling lovingly to my too small lumps above the waist and too large lumps below. But many people love knits for their ease of movement. 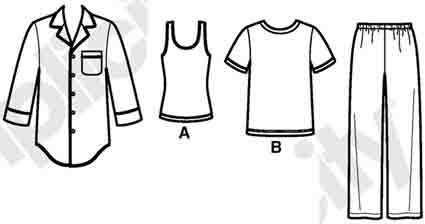 Monochrome/ graphic : top with white body, black collar and sleeves, pants in black with white polka dots. Or strong stripes. Or checkerboard. Minimalism : beige, or pale greyed pastels. Sports Luxe : performance fabrics, primary colours. 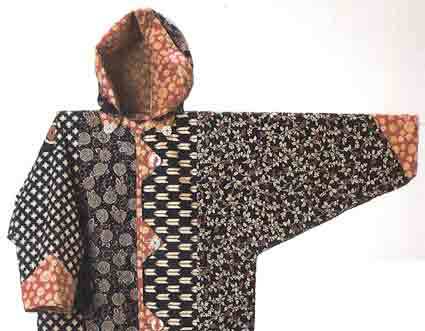 World Travel : mixed prints, especially ethnic (South American this season). Last summer, pj styles in satin or men’s stripey flannel were a high fashion item. 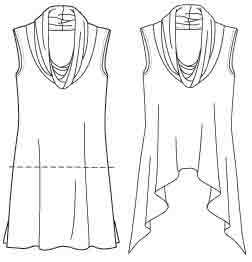 . .
– a neckline that isn’t tight to the neck. 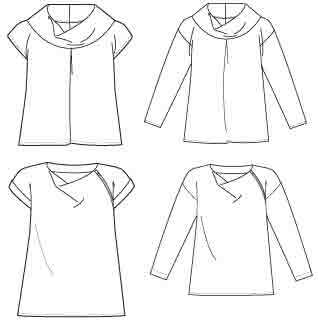 – a deep armhole, or raglan or dropped shoulder. 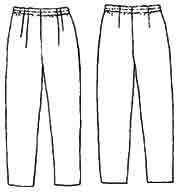 – a deep wide crotch curve (fashion jeans have no ease to the crotch seam, not a route to comfort). – generous extra fabric around bust and hips. Very loose fitting – more than 10 in./ 25 cm larger than body measurement for lounging. Compare with close fitting – 2 in./ 5 cm ease for formal daywear. The ease level you find comfortable is also a matter of personal style. And many of us who are difficult to fit wear very loose fitting clothes to be comfortable, though we can wear more closely fitted styles if they fit properly. This approach to loungewear wouldn’t work for everyone of course. Depends on your personal style. 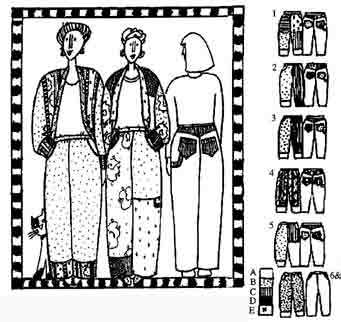 Some people feel very uncomfortable/ unlike themselves in casual/ loose fitting clothes rather than tailored clothes, or pants rather than skirts and dresses, or soft rather than crisp fabrics. And if you like frilly/ lacey/ bias cut nightdresses, you probably don’t wear them in public !